Kerry Hammond is a big Sophie Hannah fan and here's her review of the British author’s latest standalone novel of suspense -- Hannah’s first book set in the United States. Keep Her Safe is the latest standalone novel by Sophie Hannah, the author mixes it up a bit by setting the book in the U.S., in a fancy resort in Arizona. The novel releases in Hardcover on September 19 from publisher William Morrow. Hannah has written standalone thrillers, the Simon & Charlie series, and she was the novelist chosen to carry on writing books featuring Hercule Poirot, Agatha Christie’s Belgian detective; there are two books so far in that series. Hannah is a great writer and her plots are always new and creative. 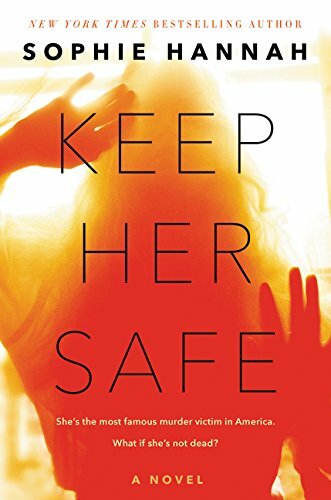 I am always eager to get my hands on her latest book and couldn’t wait to read Keep Her Safe. 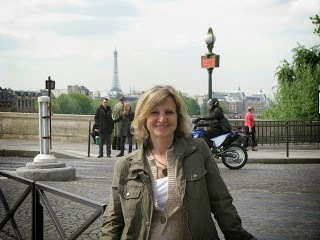 In the book, Cara Burrows in a wife and mother of two. She is also going through a bit of a personal crises and feels she needs to be on her own to sort it out. She leaves her family a note with her return date, hops a plane, and checks into a fancy resort and spa in Arizona called Swallowtail. The journey was harder than she thought, and with jet lag setting in, she makes her way to her room, intending to sleep for as long as her body will allow. When she swipes her key card and enters her room, she quickly realizes that the room isn’t hers and that it’s not empty. Before she can retrace her steps, the room’s occupants wake and confront her. A man and a young girl stand there, bleary-eyed and confused. Cara makes her way back to the desk and is placed in an upgraded villa to make up for the mistake. When she wakes the next day, events occur that lead her to believe that the young girl she saw wasn’t just a random tween, she was one of the most famous little girls in the U.S. Famous because she was murdered seven years earlier and her parents are both serving life sentences for the crime. Cara starts to search out information from the famous case and as she puts the pieces of the puzzle together, she soon realizes that the fact that she was a witness means that she is in danger. What lengths will someone go to, just to keep her quiet? I really enjoyed this book. The premise was unique and intriguing and I love Hannah’s writing style. She has a way of unraveling a story, bit by bit, keeping the reader in suspense. Her characters are well-written and believable; I found myself putting myself in Cara’s situation, wondering what I would do if I were her. The twists and turns the story provided made it hard to put the book down and the ending was a complete surprise. The book is the whole package! See a review of Hannah's A Game For All the Family HERE.